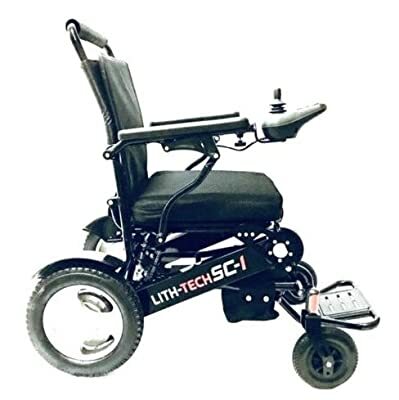 LITH-TECH Smart Chair 1 This is our folding lithium battery powered smart wheelchair. 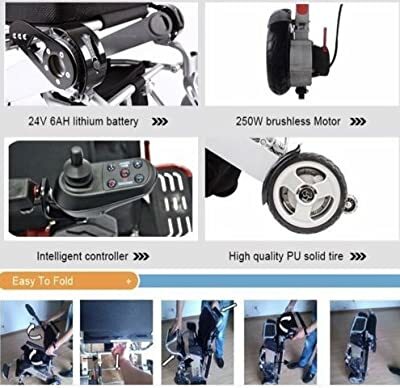 LITH-TECH are a uk specialist in mobility and we are proud to present our two smart chairs which we believe are the clear winners on the market, with the lightest overall weight, smallest folding dimensions and also the longest battery life per charge available online. Check out our vids and tutorials on social. Light weight and strong with an aerospace titanium and aluminium fused frame which can withstand loads of up to 180kg. 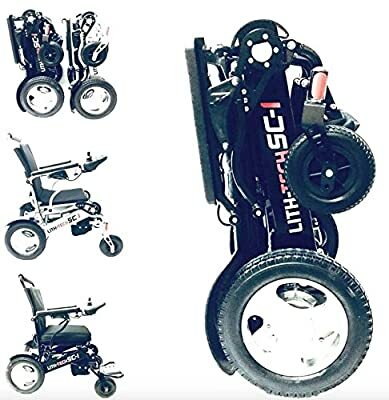 The lithium batteries on our Smart Chair's are neatly stored away in the side of the frames to not only keep this wheelchair functional, looking sleek but also user friendly. Our Smart Chair charges in 5 hours and can go a distance of 20 miles on a single charge. 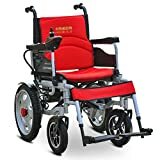 Its dimensions are as follows: When folded 610mm x 260mm x 770mm When unfolded 960mm x 580mm x 930mm This chair is great for traveling anywhere, it folds up in 2 seconds and can easily fit in even the smallest of car boots. The arms on this chair also fold up so you can fit under the table with them for eating, drinking and working. It comes with a mains charger, which plugs straight into the battery. It has an easy to use 360 degree joystick which makes even the tightest of spaces seem easy to get through. The joypad comes equipped with a horn for user safety. WHY YOU SHOULD BUY OUR SMART CHAIR! 1. 3 seconds folding and unfolding, easy to carry as a luggage on plane, bus or train. 2. 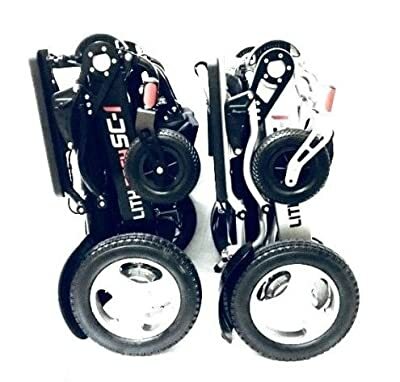 Very light weight, only 23kg and 26kg with batteries 3. Small volume after folding. 4. Frame material: 7003 aerospace titanium-aluminum alloy. 5. Certificates: CE;FDA;ISO9001; ISO13485. 6. High efficiency brushless hub motor. 7. Bigger rear tyres, stronger durability. 8. Next day posting, should receive order in 2-3 working days. We offer a 12 month warranty on all our products frames, motor and batteries only.